Walden Club Director of Services Tracy Jarvis stands in one of the dinning areas with a view high above downtown Chattanooga. Michael Jinks, interim general manager at Mountain City Club, says the club has about 330 members and has a goal to reach 600. Mountain City Club official Michael Jinks cites the American Express catch phrase that "membership has its privileges" when talking about the downtown Chattanooga entity. "It's a home away from home," says Jinks about the longtime club located at Chestnut and Eighth streets. "When you come in here, the staff is extended family." Private clubs such as the Mountain City Club, the Walden Club and others in the city are fighting to stay relevant in an age when some younger business people question the need. Tracy Jarvis, director of services at the Walden Club located at the top of the Republic Centre, also on Chestnut, says there's a new demographic to which he has to show the reasons for taking part in a private club setting. "Chattanooga is a ... progressive town," Jarvis says. "Each club needs to be progressive — the events they do, the staff they present." 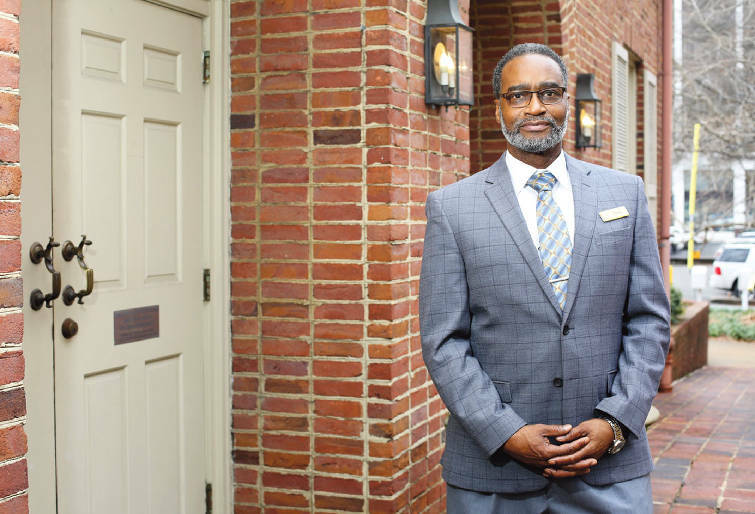 Jinks, the Mountain City Club's interim general manager, says the need is still there for business people who are looking for a place to conduct meetings and take part in social gatherings. He says some people like doing business at the golf course, while others prefer holding meetings over lunch, citing several dining rooms in the club that dates back to 1889. But clubs are changing their approaches, membership rules and facilities to attract more people. The Mountain City Club, once an exclusive club where only men were allowed in one of the dining rooms, is now open for all types of people and users. The club was once members only. Now spouses are welcome, and the club holds events such as wedding and baby showers and receptions, Jinks says. "There used to be no cell phone use," Jinks recalls. But the club re-did its second-story business center and now many people bring in their laptops and work at the club, not just dine or entertain there. The club is targeting young professionals, including women business people, he says. The use of social media such as Facebook is key, officials at both clubs say. "The older generation is not as much into it, but the younger generation is," says Jarvis. "You have stay on top of what they're looking for in social media." Jarvis says the club seeks out young professionals who have a need, such as a place for a business meeting and a quiet location to bring clients. Also, he says, the club is a place to celebrate special occasions. In addition, Jarvis says, the location of the Walden Club on the 21st floor of the Republic Centre is "unparalleled by anything in town." "That sets us apart from anything else in the city," he says. Jinks says that the Mountain City Club offers a variety of rooms, which members can use for private meetings, training, and receptions. Also, it offers a billiard room where members and guests can unwind after work, he says, and there's an outdoor patio and 185 adjacent parking spaces. Jinks says that in addition to social media, the Mountain City Club does "email blasts" and is looking at putting up billboards and other advertising. "The club is trying to get younger," he adds. "If you don't change, you get left behind." Jarvis says that when it comes to dining at the club, it's much more casual than in prior years. He says the younger generation "doesn't want the formality." Jinks says the Mountain City Club is at about 330 members and has a goal to hit 600. "At one time it was 800 plus," he says. Last September, the Mountain City Club weighed an offer for the purchase of substantially all its assets from the owner of the nearby Westin Hotel and then moving to another location. Dan Saieed, the club's president at the time, said in a letter to members that because it had experienced significant and continuing challenges relating to its financial status, the board was examining the potential sale to Chattanooga businessman Byron DeFoor. Saieed cited loss of membership, from approximately 700 members to just above 300, while expenses increased. In November, the club decided against selling its three-level clubhouse, noting it had raised "significant funds" to help ensure its viability. Also, the club said it was working to improve member and guest services through things like menu changes and expanding the its evening hours. Jarvis says the Walden Club, which is owned by the family of the late Republic Parking founder Jim Berry, is "around 1,000 to 1,100 members." "That's good for us," he says, adding that it doesn't have a sales office, but is member-referred.